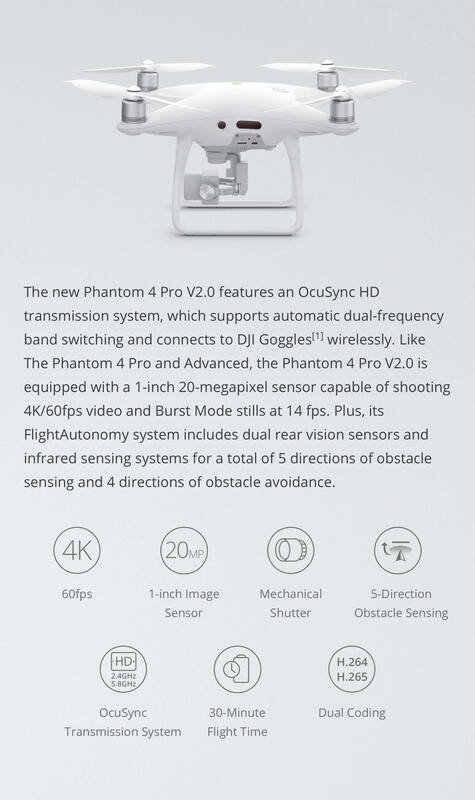 The all new Phantom 4 Pro V2.0 brings DJI's dependable OcuSync transmission system to the Phantom series. 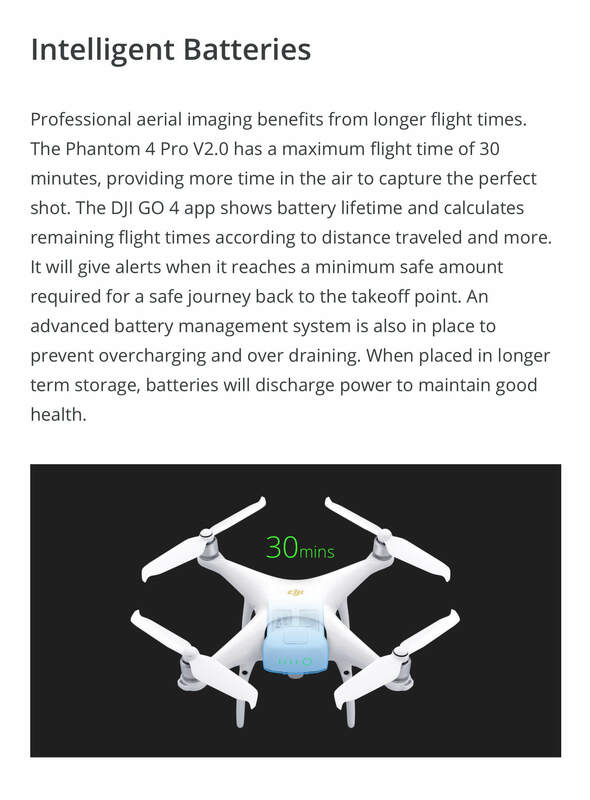 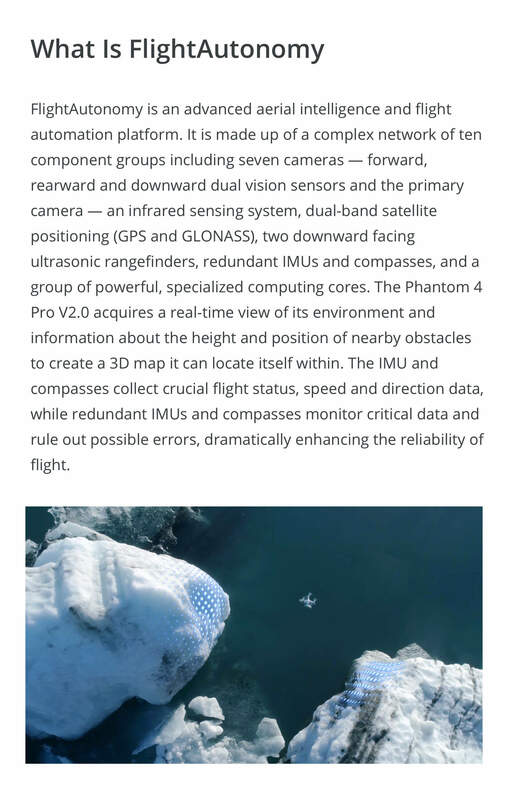 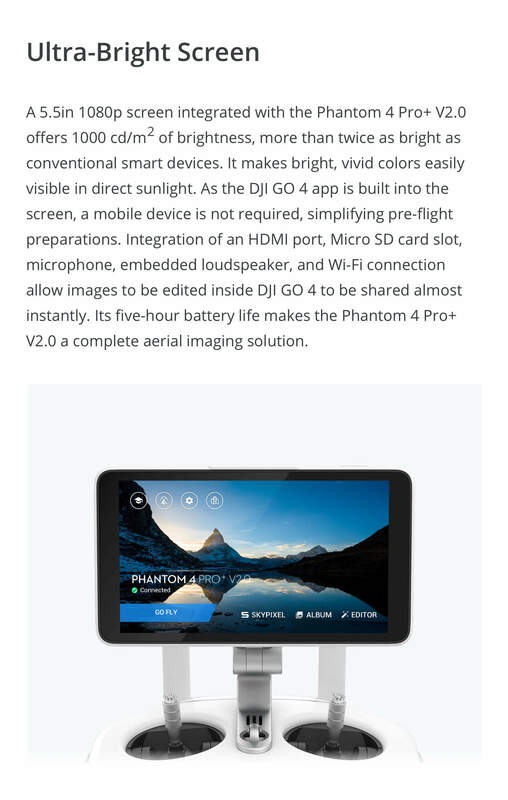 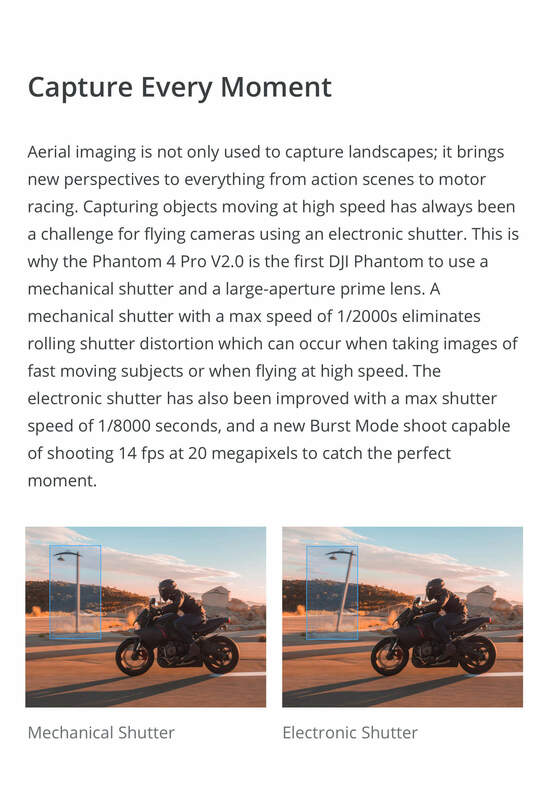 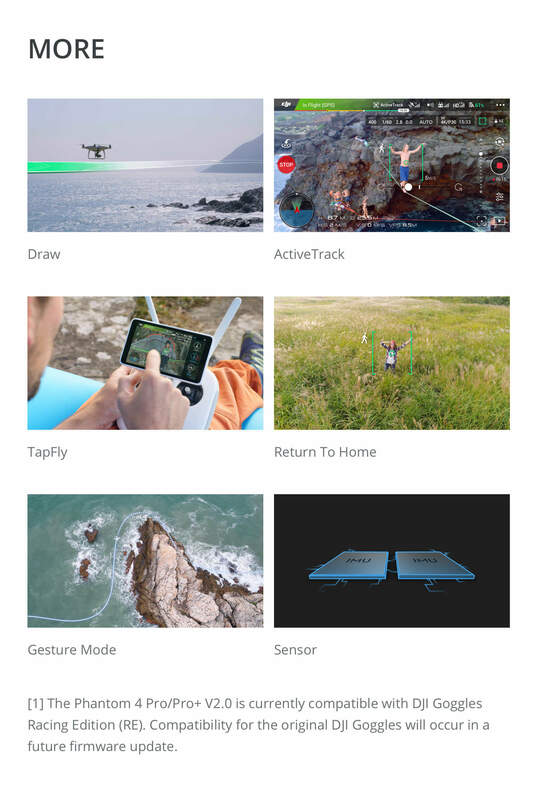 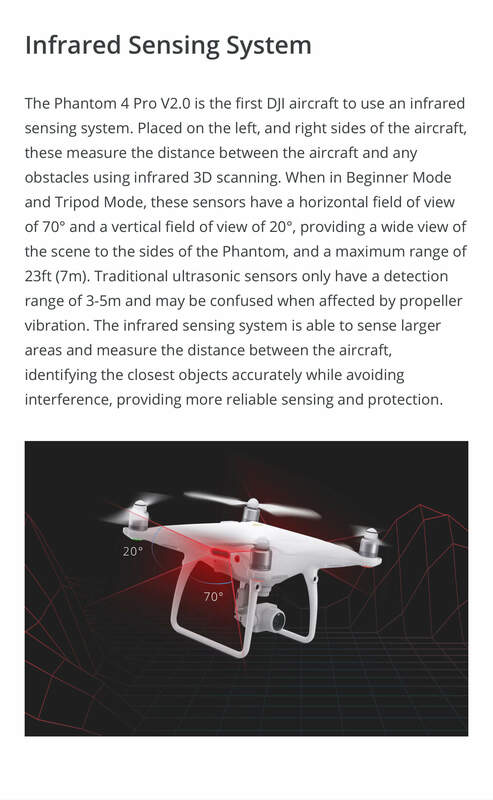 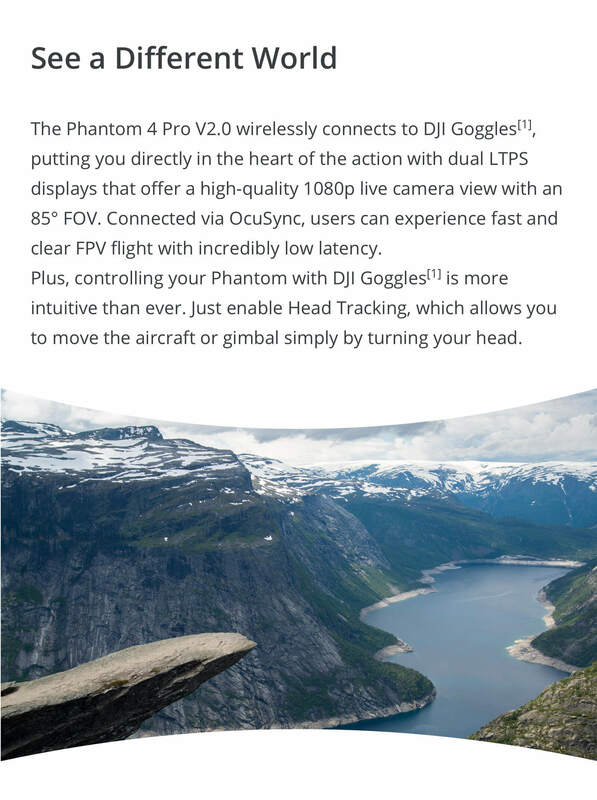 With this the Phantom 4 Pro V2.0 boasts enhanced connectivity with dual band frequency on 2.4GHz and 5.8GHz as well as hassle free connectivity with the DJI Goggles and DJI Goggles Racing Edition. 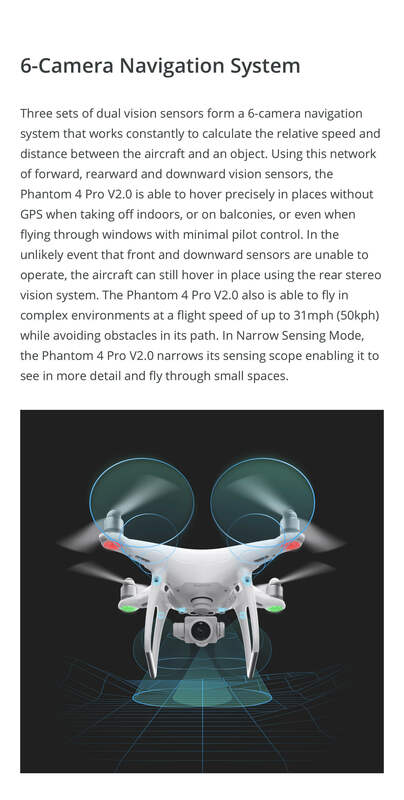 In addition to the OcuSync transmission system, the Phantom 4 Pro V2.0 features more efficient speed controllers (ESCs) as well as a newly designed low-noise propeller which yields up to 60% quieter flight than the regular Phantom 4 Pro. 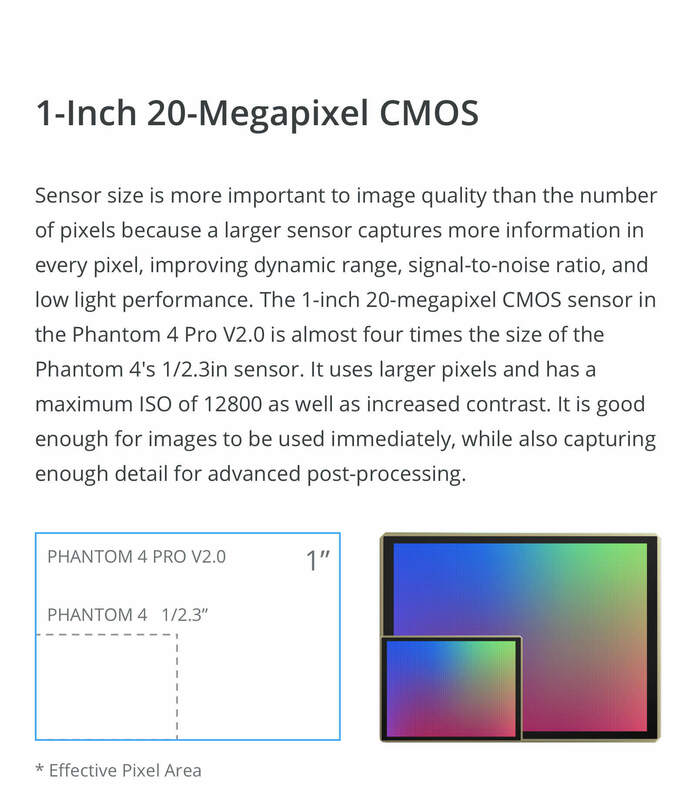 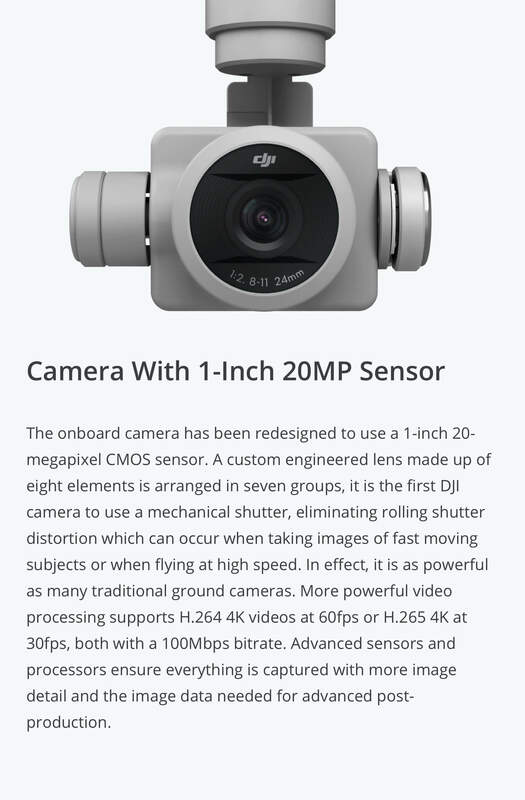 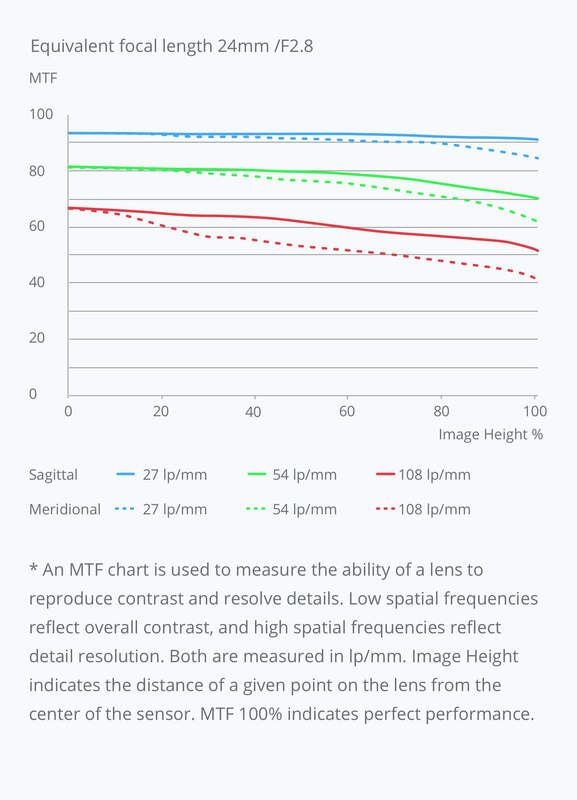 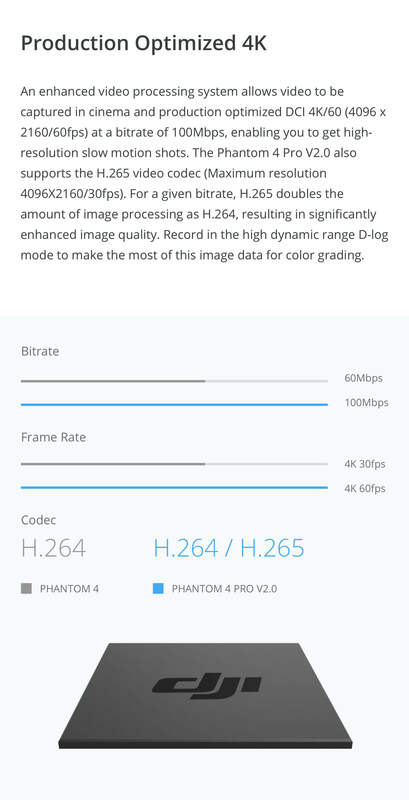 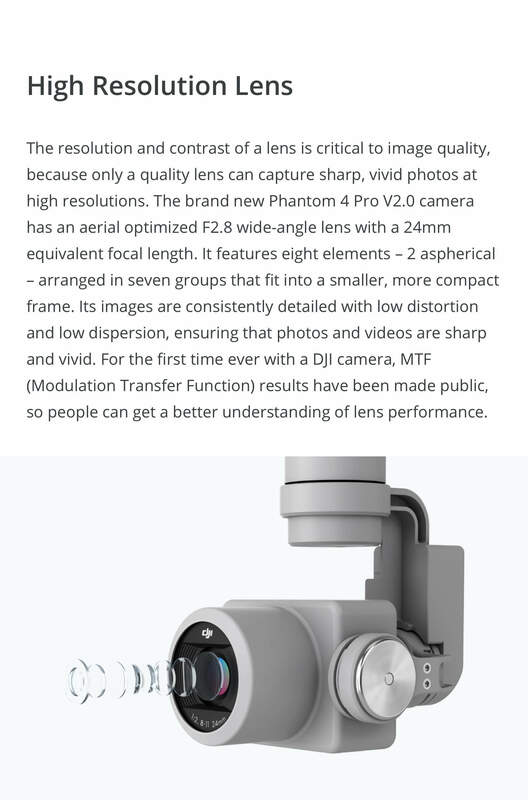 Like previous models of the Phantom 4 Pro, the V2.0 carries an integrated 1-inch 20MP Exmor R CMOS sensor camera. 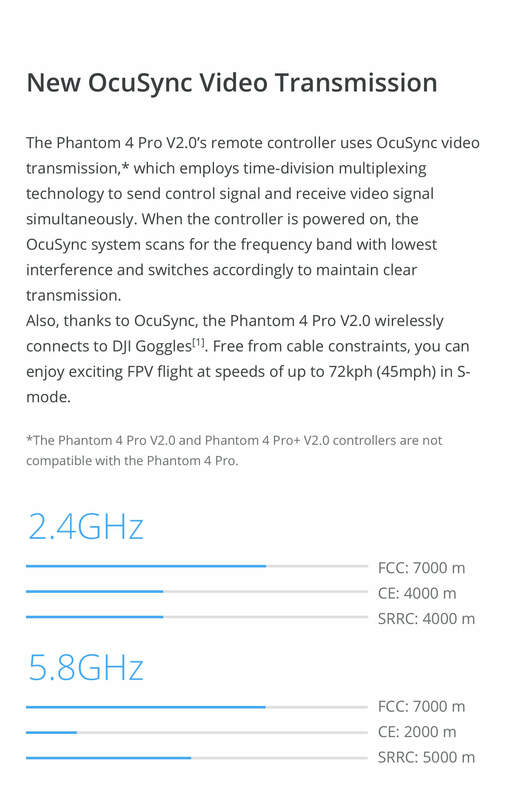 OcuSync Transmission System – The DJI OcuSync system on the V2.0 has proven to be a longer range and less latency means of transmission compared to previous Lightbridge systems. 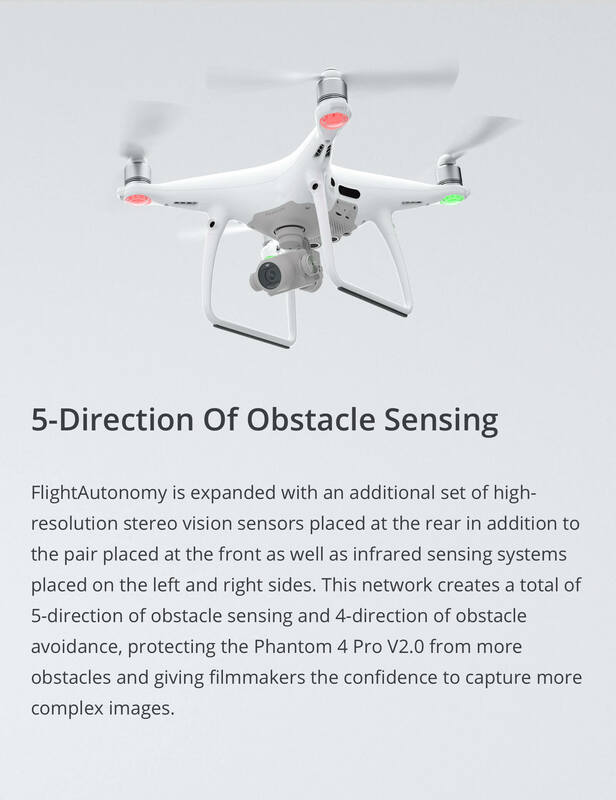 Enhanced Electronic Speed Controllers (ESCs) – New motors and ESCs give the Phantom 4 Pro V2.0 greater efficiency and noise reduction of up to 60% or 4dB. 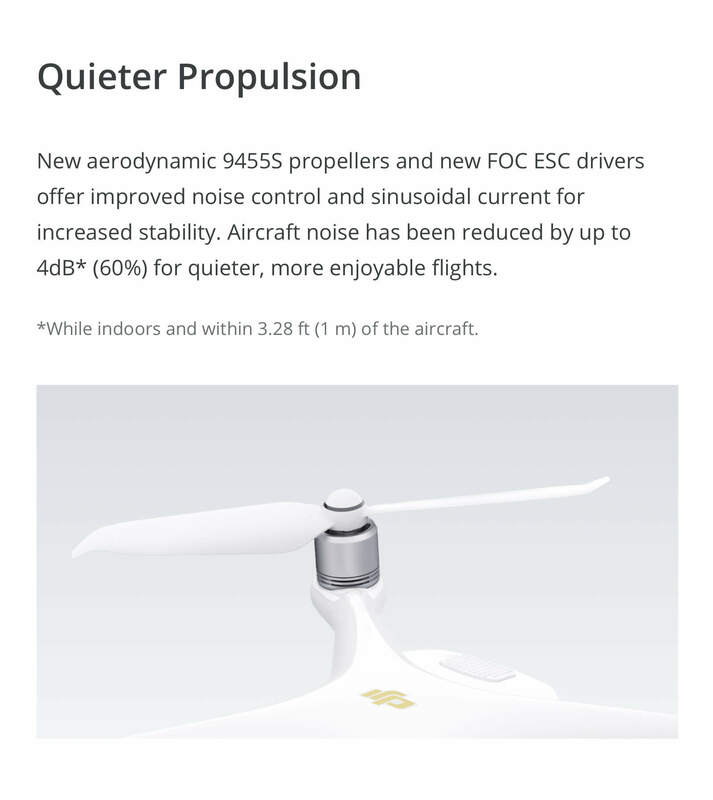 Low-Noise Propellers – Combined with the V2.0's enhanced ESCs, the low-noise 9455S propeller design works to improve noise control. 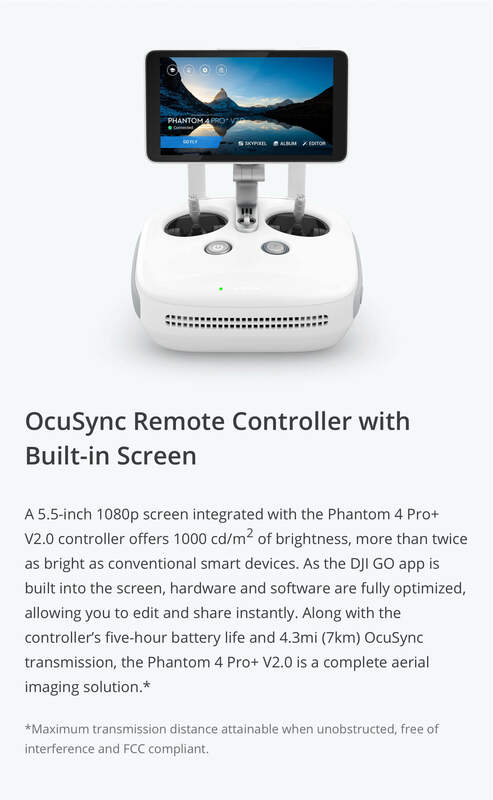 Surprised it took this long for DJI to use ocusync on the phantom drones but very happy they did. 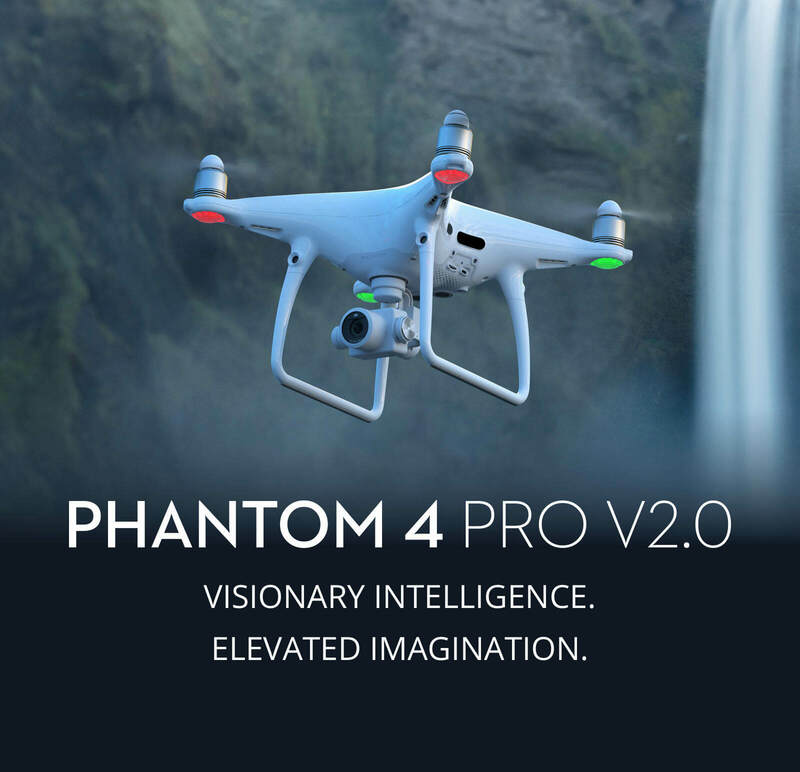 The new props and motors are much quieter...just like the way they worked on the platinum mavic they are the same on my v2.0...great copter!